I’m not going to bother with a detailed summary (’cause this movie doesn’t warrant one), but in brief, after the events of the Magic World (Mars) have concluded, allowing Negi and his students to return to Earth and Mahora. Negi is told that he has to choose a partner by the following day or else. After he chooses a partner, the other girls he’s partnered with will lose their memories of magic and the Magic World. 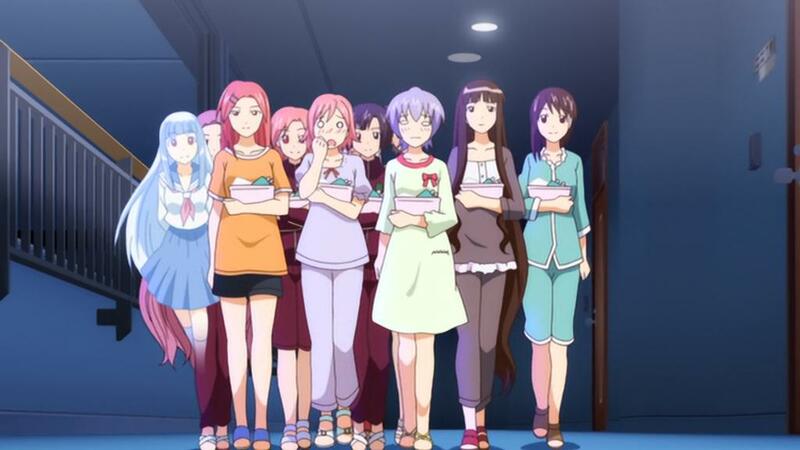 When the girls learn of this, they deal with it in various ways (Kaede, Ku Fei, and Mana fight Negi one last time; Ayaka, Asuna, Konoka, and Setsuna have a sleepover; etc.). 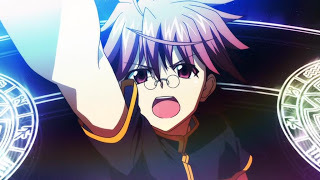 However, Negi’s 30-year plan comes to an abrupt end when Mars is about to crash into Earth, meaning he has to become Magister Magi immediately by choosing only one partner or Earth and Mars are destroyed. Negi makes the only choice he can – partnering with all the girls including Eva. His first attempt to save Mars/Earth fails, Chao comes back, he succeeds on her advice, and merges Mars and Earth together, creating Utopia. The girls graduate and decide to have a final party. Negi announces that he’ll be transferring to the high school division of Mahora, thus he’ll still be the teacher of all these girls. If you came up to me and said, “AstroNerdBoy, what would your one word review of this Negima! 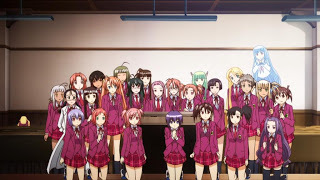 movie be?” My answer would be, “contrived.” Those of you who hated the way the Negima! manga ended would find that ending to be pure genius compared to the movie’s ending of the series. The first paragraph above summary is fifty minutes of the one hour and 17 minute (approximate) total movie on DVD, counting credit time. Yeah. Basically, this section of the movie is to allow the various girls to get face time and such because that’s what a contrived plot does for ya. Regardless, the whole notion that Negi suddenly MUST choose a single partner and MUST become a Magister Magi just goes against everything established in the manga (and remember, this movie is supposed to be the “Story B” that takes place after Asuna restores the Magic World and its people). That’s what I mean by “contrived”. For starters, it had already been well established that Negi’s father, Nagi, had multiple contracts as an adult. Furthermore, Negi’s own prohibition contracts were rather unusual, both in the sheer number of partner’s artifacts he was supporting with his own magical reserves, but also in the fact that his partners were scoring very rare pactio artifacts. So, for Negi to suddenly be restricted to a single partner, which was a plot point VERY early on in the manga until it was established that there were exceptions to the rule, was just mind-numbingly stupid and contrived. The next problem with this contrived plot is that there was ZERO need to erase anyone’s memories. After all, if the girls aren’t a threat now as temporary partners, then why would they be threats after Negi picked a single partner? In addition, how many of Negi’s partners/students would be unaffected by a pointless memory wipe? Asuna wouldn’t be touched due to her magic cancel abilities. Konoka wouldn’t be affected because she’s now on the path of Magister Magi. Setsuna wouldn’t be affected because she’s also Konoka’s partner. Eva wouldn’t be affected because she’s freaking Eva, the shinso vampire and one of the most powerful mages in existence. Mana wouldn’t be affected because she’s part mazoku, and already does work for the mages. Zazie wouldn’t be affected because she’s pure mazoku. Misora would be safe because she’s partners with Cocone. Natsumi would be fine because she’s partners with Kotaro. So, with so many in the class who’d still remember magic, it would actually cause more problems for their friends to forget, thus making the whole, contrived plot even stupider. Negi’s terraforming plan in the manga makes sense because he’s making the surface of Mars inhabitable without the need of a massive, magically powered, artificial, hidden surface. As such, as Mars becomes inhabitable on its own, the drain of magic lessens, and everything is cool. Next on my list of complaints is the change of Magister Magi. In the manga, Magister Magi is a title, like “Doctor” or “Jedi”. In Star Wars: Return of the Jedi, Luke Skywalker had all of the skills and knowledge of a Jedi. However, he had a final test to do before he could be officially called a Jedi. Its the same with Magister Magi — it is a title bestowed on mages who’d completed their training and were ready to act without supervision. This anime movie changes that, suddenly making Magister Magi mean “more power”. Really? As a 10 year old kid, Negi already outclasses almost every Magister Magi on Earth, so it made no sense that his becoming Magister Magi could help him solve the Mars crisis other than to be yet another contrived issue. Shifting topics, it used to be that when it came to anime productions, TV shows were the lowest budgets per episode. OVA’s were next, thus allowing for them to have much improved art and animation. Movies were the top dog, allowing for the best art and animation. 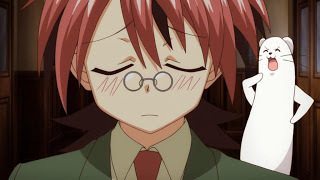 Unfortunately, Mahou Sensei Negima! Anime Final looks to have had the budget of an average budgeted TV show. The animation isn’t that great, and sometimes kinda crappy but at other times, it is OK. Some of the distant shots make the characters look like crap, which I couldn’t understand even in TV productions. Many thanks for the warning. For a moment, I considered skipping your review until after I’d watched the movie so as not to get spoiled… something told me not to, and I’m glad I didn’t. *goes and looks to confirm what he already suspects* … frickin’ SHAFT. (>_< )# What the heck do they have against telling the @&*(%@$ story the way the author wrote it? They're one of the main reasons I've gotten disgusted with studios deciding they're more clever than the author and loading anime up with their own story "twists" and stupid in-jokes instead. Just a wild guess, or maybe not since they couldn’t leave it alone in the previous renditions of Negima where they blatantly injected themselves… did they spend a noticeable amount of time making fun of Setsuna having the hots for Konoka? Bonus points if she got a nosebleed geyser. > did they spend a noticeable amount of time making fun of Setsuna having the hots for Konoka? Bonus points if she got a nosebleed geyser. Make fun of? No. Setsuna and Konoka get a moonlit swim in Ayaka’s pool, and Konoka does a flying leap on Setsuna at one point in the pool. As to the story, supposedly, Akamatsu-sensei had a different ending for Negima! and this anime was supposed to be it. So SHAFT making changes would have been made to whatever script Akamatsu-sensei gave them. Still, the movie is blah. TBQH, I’m just happy that this movie wasn’t my reason for buying the 37th volume’s limited edition. Heh! Yeah, I wouldn’t have scored it either except it came with the pactio cards. 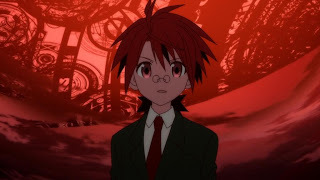 One thing I’ll say about the whole Magister Magi thing; In the manga, Eva says something about the other timeline’s Negi becoming a Magister in the truest sense and not ‘some title given out by passing some government test.’ I’ll give the plot that but it’s in no way an excuse for the stupid direction it went in. The act of choosing what is essentially a backup during a fight, someone whose ability is supplemented by your own, should NOT in any way make you stronger. It makes absolutely no sense. >The act of choosing what is essentially a backup during a fight, someone whose ability is supplemented by your own, should NOT in any way make you stronger. It makes absolutely no sense. Very true, especially since the mage is providing 100% of the magic for the backup’s artifact and any other offensive/defensive boosts (as seen when Negi first started training to support only a few girls in those early days). It’s one of the crappiest anime movies released in the past decade. It nothing, from the plot to the reasons behind it makes no sense. I’ve only briefly looked at it, the few scenes that are taken from the manga, and even those are badly done. A BIG disappointment. That’s all there is to it. In all honestly, they would have been better off making a movie featuring the Mahora Festival with Chao’s plan. Not THAT would have been worth seeing. >I’ve only briefly looked at it, the few scenes that are taken from the manga, and even those are badly done. Well, to be fair, those where only designed to be a very brief “the story so far” to get folks into the movie. But yeah, they did go cheap on those. The only real interesting parts were Negi’s final duels with Ku Fei and Kaede. 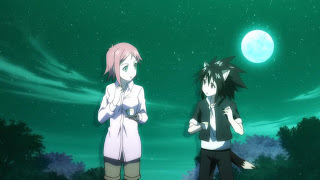 That scene was pretty cool, and we got to see Magia Erebea animated ^.^. 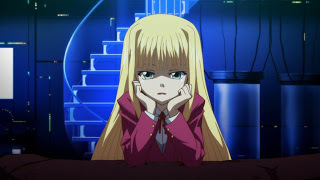 Otherwise, the entire movie is needlessly contrived, and downright irritating by the end with Negi’s cries of ‘Utopia!’. >The only real interesting parts were Negi’s final duels with Ku Fei and Kaede. I would add Mana to that mix as well. >Otherwise, the entire movie is needlessly contrived, and downright irritating by the end with Negi’s cries of ‘Utopia!’. They didn’t even reveal who the girl Negi loves in the movie. Well, that was a plot point for where the manga went rather than where the movie went. But, Negima being interested in a girl didn’t come up at all in the movie. It seems that Fate dies in the movie instead of being alive. Fate dying is outright shown in the movie, when he vanishes in Albireo’s arms. I have seen both endings, and I still hate the manga ending more. Yes, it is worse than the anime’s. In part because the Negima animes had always been subpar, so this was to be expected. The manga ending, on the other hand, was just a spit on the face of nearly nine years of decent storytelling. In part because, while the anime end doesn’t solve most plot threads, it at least leaves things open so we can get a continuation, while the manga end goes out of its way to let things closed and all but impossible for a continuation while not answering anything in a satisfactory way. And lame as the movie’s climax was, at least it happened onscreen. The off-panel ‘We beat the Lifemaker and rescued Nagi some time ago’ end was simply insulting. 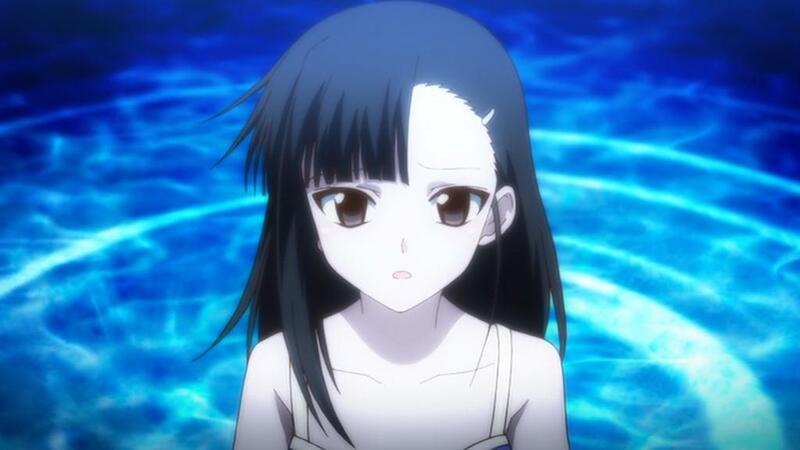 >Fate dying is outright shown in the movie, when he vanishes in Albireo’s arms. Hmmm…I didn’t even notice that for some reason. I just assumed the intro was entirely from the manga. As to the manga’s ending, since Akamatsu-sensei was out of his contract, he just did what he could to give an ending. I’m still hoping that he is able to bring Negima! back. Considering he went back to Kodansha anyway after so much pointless drama, if he doesn’t continue it right now it means he just doesn’t care about it anymore (I’m not buying the ‘I’d like to make 100 more volumes’ statement, because not only that’s impossible for someone as slow as him, but I believe that’s only his way to try and calm disappointed fans). I doubt Kodansha would okay him restarting Negima after years of another serialization, since by then no one but a very small group would remember Negima or care about it anymore. Ah, but his going back to Kodansha is on his terms and not theirs. That’s the big difference, especially since the rights to all his works have reverted back to Akamatsu-sensei. Asakura circle Asuna on the chalkboard like she knows that Asuna will be Negi’s permanent partner. Well, Asakura was always lucky. I don’t understand how Arika is alive in the movie. She wasn’t alive in the manga. I don’t know what to say. I didn’t even notice her in the movie. Still, he apparently couldn’t publish Negima on his own (he has been quoted on Tumbler as saying J-Comi publishing hasn’t met his expectatives, and let’s be honest, that site is just a dumping ground for Z-List titles). So he still needs Kodansha’s financial support to get it published again. Money won’t make itself, and J-Comi is a moderate non complete failure at most (you don’t see it making any big news anymore, do you? )so the money for publishing won’t come from there. He still needs a publisher to distribute his works for him, and I don’t see Kodansha or any other big publisher being interested on reviving a long runner long after its time has passed. It’s not even something like Sailor Moon, which was a planet wide success with a SUCCESSFUL AND PROFITABLE long running animated adaptation and now will get another one. Negima is a ‘major cult’ title with a string of disastrous adaptations, and unless he revives it quickly like they did with To Love Ru, I don’t see Kodansha backing him up on it long after the series’ end. Remember, he does have a consistent record of being screwed over by companies, from SHAFT to Kodansha itself. >Still, he apparently couldn’t publish Negima on his own (he has been quoted on Tumbler as saying J-Comi publishing hasn’t met his expectatives, and let’s be honest, that site is just a dumping ground for Z-List titles). I wasn’t aware of that, but then again, if it only has Z-list titles (save for Love Hina), then I don’t know why he’d think it would do better. >So he still needs Kodansha’s financial support to get it published again. 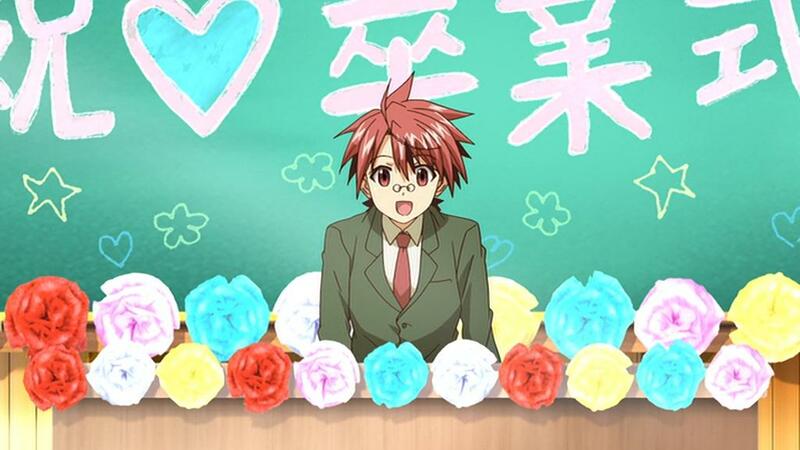 Even if Akamatsu-sensei had done a Negima! sequel on J-Comi, I always assumed that he’d have a deal with Kodansha to have tankoubons published. There’s no need to reinvent the wheel, so Kodansha would publish it, but Akamatsu-sensei would retain the rights. >Remember, he does have a consistent record of being screwed over by companies, from SHAFT to Kodansha itself. I’ve talked with folks in the business, and many of the problems getting anything licensed in the U.S. is Japan. I could have a $50 million bankroll with which to try to license something out of Japan, but being able to afford the license would be only one of many considerations by the Japanese (Kodansha in this case). Still, for the anime, Kodansha didn’t do any editorial stuff. It was the anime company, SHAFT, which gave us the shaft (pardon the pun). Byzantine. In such a hierarchical society the famous Japanese cooperation is illusory. Often top dog decides and the rest roll over to preserve the illusion. And their jobs. So they form a committee to create art with the predictable results of “Negima!.” They should know art by cabal always blows. “Bakuman” explores this, so all is not lost, but it’s singular. Yen Press, which is published by Hatchette, has at least one address in the US without mention of Japan. Is that a cover for something of the same ilk? I know the rules in Japan are different, but Mr. Akamatsu must have sold or ruinously rented out his patents not to have more command of them. Has he approached a US publisher? Also, how did John Lassiter capture Miyazaki? Could only Disney have enough leverage? >I know the rules in Japan are different, but Mr. Akamatsu must have sold or ruinously rented out his patents not to have more command of them. The publisher had the rights. That’s pretty much standard operating procedure in the publishing world. 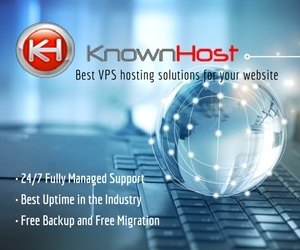 It isn’t until one becomes a household name that one can gain some control over one’s works. >Also, how did John Lassiter capture Miyazaki? Could only Disney have enough leverage? Miyazaki-sensei is akin to Walt Disney in Japan. Thus, Disney was able to approach him and license his stuff. It is a win-win since it allows Miyazaki-sensei’s movies to be in the mainstream market vs. the niche anime market. >Your pun is unpardonable. I regret not doing it first. OOOOoooh. Thaaat’s what they mean when they say that for an author publishing is slavery. >OOOOoooh. Thaaat’s what they mean when they say that for an author publishing is slavery. Yeppers. If I can get my own novel going, I’ll be going the e-publishing route to bypass all that. I was really, really disappointed when I saw the movie, but on the other hand… I never enjoyed the anime adaptations actually. The Ala Alba and Another World OADs, especially Yue’s one were the best. Regarding this ending, I can understand why Akamatsu scrapped it for the manga. There is nothing more I can actually add to what you already said. 1. Akamatsu will one day continue MSN. I think it’s obvious why. 2. The manga will get another anime adaptation. Did I only watch J.C. Staff’s Tsukihime or what? Even FSN got a very popular adaptation, although I still don’t like DEEN for the BS they partially fabricated, the anime was a hit which led to a PS2 adaptation, which again was ported to the PS Vita recently. It made the Fate-franchise so popular, Type-Moon’s got a cash cow now with a prequel, numerous spin-offs and video games. It perhaps led to Type-Moon’s other works getting remakes and anime/manga adaptations. 3. If 2. happens, then they should prepare a big budget and don’t make the quality suffer. After watching the movie I was asking myself what the point of it was. As mentioned before, the story was full of holes, so at least the animation should have been good. Usually, I have seen SHAFT doing proper animations after watching Madoka and stuff and since this was a movie, I compared it with movies like ufotable’s Kara no Kyoukai series (which I btw recommend to you if you haven’t watched it yet). Now, I don’t really give a damn about the graphics, if the story is good, but man… both sucked. Sadly. 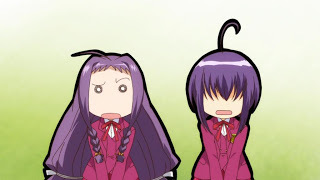 Mahou Sensei Negima got 2 anime adaptations, many OVAs and CD dramas, a live-action drama series and a movie and perhaps I’m forgetting something, but… Was it that difficult to make a proper anime series that could last as long as the Shounen Jump Trinity? I’m not sure why the Negima! anime adaptation aspect has sucked so horribly. It needs to be in the hands of a company that is interested in doing a tight adaptation, but at this point, I don’t think anything is going to happen. Indeed, I think we Negima! fans just get the shaft, no pun intended. After I got over needlessly expecting video adaptations of Negima! to follow the manga plot, I actually like the Funimation version. It’s funny, fast and obviously aimed at 13-year-old girls once a week on TV. Graphics are surprisingly good, and the ending song is fun. > It’s funny, fast and obviously aimed at 13-year-old girls once a week on TV. He’s only publishing out of print stuff there, but he does have Love Hina there, and I think A.I. Love You. There had been speculation that he might do his new manga there, but it looks like he’ll be doing another title with Kodansha (with Akamatsu-sensei retaining the rights). Of course the boys’d go for it. It’s got lots of pretty girls doing crazy, girly things as in the manga with some subtle male fan service, but the plot downplays Negi’s search for his father and anchors the plot only roughly on the manga. 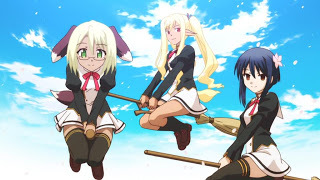 The star crystals and Anya are now the plot drivers, and cute little Negi does the usual overly honorable and endearing actions with the girls. I taught them for 30 years, and the girls’ outrageous adventures and eeky squeeky conversations in this made-for-TV anime are definitely the stuff teenage girls like. 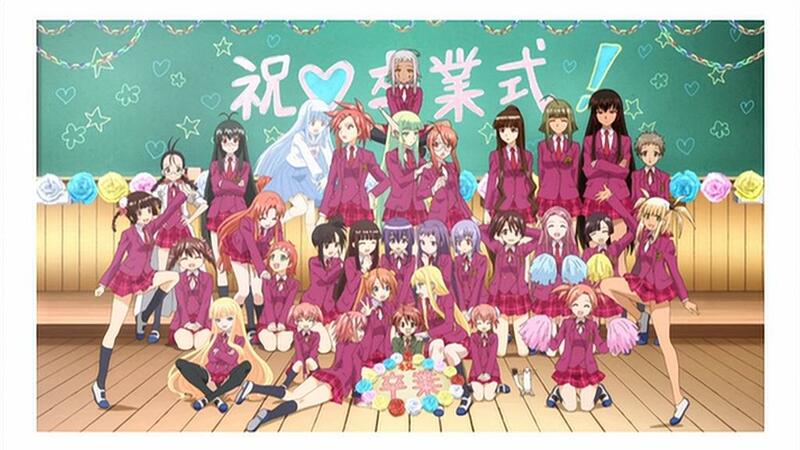 Mahora Academy, Takamichi, Eva, Chachamaru, Chamo and the magical world are all present and the same, but several of the girls are slightly different though similar. For example, Ayaka now has a very bitchy side, just the type to engage and inspire dislike in the female audience. I certainly don’t see any queer takes in it. The same end song every episode is excellent. Novels rarely translate well into movies and vice versa. To replicate a movies’s visuals in text requires way too much verbage, and inversely to replicate the internal workings of characters that appear in text into movies is very difficult. Hence the almost inevitable disconnects. I only know of one exception: Ray Chandler, whose novels’ action and dialogue is so good you can write them directly into a shooting script for a movie. “Farewell My Lovely” translated almost directly into a great movie. But this is rare. 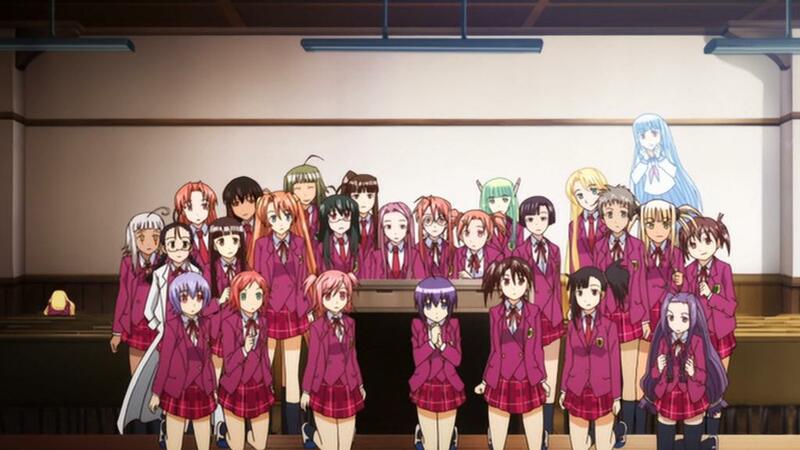 In characters and plots “Negima!” contains so much it would be almost impossible to be completely faithful to them in any animated version. Especially the characterizations. There’s lots of stuff for both boys and girls in “Negima!” And for us more, ahem, experienced readers. However, to mess with the characters so badly as apparently Shaft et al do is an artistic crime. Yeah, I’ll be looking into the new manga for sure. >Oh yeah, do you have the number of that goddess helpline? 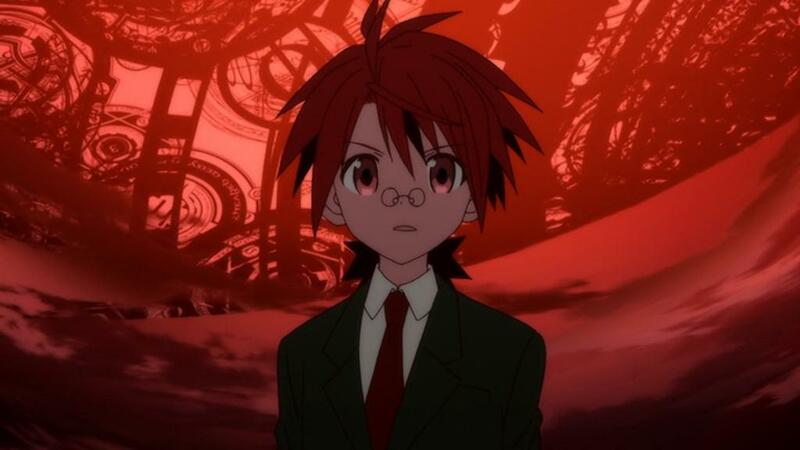 Still more “Negima!”: I always like Overmaster’s commentary on “Magister Negi Magi” because his opinion matches mine. His acid remarks about the ending effort of the team are right on. Could I come up with some alternate endings? Yes. One that I like is that after Asuna finds out that she is a magical girl, she consciously tries to become human to avoid separation from Negi. However, human Negi remains clueless and UNconsciously tries to become a magical boy. Not, I insist, a vampire. Until near the end Asuna maintains her pretense of being a big-sister to justify her love for a ten-year-old boy, but now she is conscious of doing it. Lots of possiblities here. Negi’s and Asuna’s struggles to meet halfway, or even to see that that that is what they are doing, would yield lots of scenarios. Then when time jumps ten years ahead because of Negi’s orbital elevator, a resolution is not impossible. I can think of several. 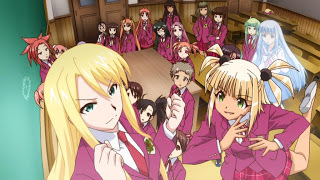 One of them is Asuna is now queen of Ostia, and Negi finally visits her at her office in the castle. He blurts that he has tried but can’t stop loving her. Of all the print media, manga should be the easiest to animate accurately. Just use either the original story boards or specific panels for the generation of the visuals for the movie. The first chapter of “Negima!” would be good, and the first time Negi tries to help Asuna on her paper route by giving her a ride on his wand would be a terrific visual. Her magic-cancelling ablity stymies the attempt and things go from there. The scene in the stairwell of Mahora Academy where Asuna stops her antagonism suddenly and says, “Okay. I’ll be more courageous” must be included. The fight with Eva on the “Brooklyn bridge” is also an early must-have. Several scenes from the Kyoto trip should be included. Up to here in the original manga Asuna rescues Negi at least nine times. These could be fast takes intermixed with other progressions. Then, the disaster at the entrance to the magical world when Fate does his thing would be a great place for special effects. Then Mundus Magicus, etc, etc. Each scene could be detailed into entire whole-movie episodes acording to the director’s taste, but they should be almost direct copies of the manga! Those incredible backgrounds of Akamatsu’s must be included unchanged. One should be able to rotate, zoom and slide them easily using his computer files. Include Akamatsu’s fan service? Sure. Rate it “R” and watch it sell. >Of all the print media, manga should be the easiest to animate accurately. Just use either the original story boards or specific panels for the generation of the visuals for the movie. In theory, you are correct. In reality, too any production companies feel the need to stamp their mark on an anime. That has happened with both Love Hina and Negima!, unfortunately. I watched the Love Hina anime first back in the day and loved it. Once I read the whole manga, it has been very difficult for me to watch the anime.